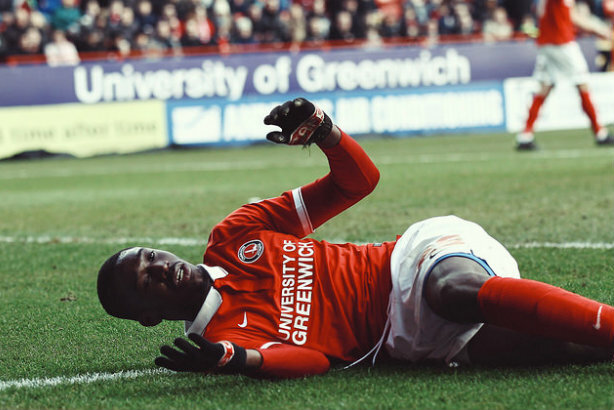 PR professionals have reacted with strong criticism of Charlton Athletic Football Club after a letter emerged apparently showing the club asking a fan to sign a contract undertaking not to criticise it on social media. A number of football fans have tweeted an image of a letter sent by the club to a season ticket holder at the east London club, which was relegated to League One last season. The club's owners have been the subject of a number of fan protests. Starting by thanking the fan – whose name and address are censored from the version circulated on Twitter – for his or her support, the letter then says the club has "identified however that certain comments placed on social media websites by yourself have been not particularly constructive". It goes on to say that the club will only allow the fan to renew their season ticket on signing an 'Agreed Behavioral Contract', which would include a promise not to make "inflammatory comments regarding the club or people representing the club in the future on any social media websites, or carrying out any other form of behavior that could be deemed to be of an antisocial nature". It is not clear which fan the letter was sent to – or indeed whether similar letters have been sent to fans. PRWeek attempted to contact the club's press office by phone and email a number of times this morning to verify the letter and ask other questions, but received no immediate response. The club contacted PRWeek after publication to say it would be issuing a statement shortly. Adam Raincock, director of PR and comms at Engine-owned Synergy Sponsorship, said he was concerned, but warned against jumping to conclusions. "Context is key on this issue as I don’t know what the tweets were. If they were harassing or threatening then it’s a different story and should be treated in the same way as a fan attending a match," he told PRWeek. "However, if the fan was simply expressing their opinion at the club and how it was run then this sets a very dangerous precedent. If that is the case then it becomes another example of clubs going to greater and greater lengths to control the message." Raincock also compared the situation to Swindon Town's banning of local media from press conferences last year, saying Charlton had "gone even further by attempting to gag fans", and that "by attempting to censor fans, clubs build bigger walls between themselves and the supporters". Comments were more damning when PRWeek asked followers on Twitter what they thought, with one taking issue with the club's use of the American spelling of 'behavioural'. @prweekuknews @ndutton13 @CAFCofficial ill-advised, futile, ridiculous. Shall I go on? @prweekuknews Vile. Talking of behaviour, they can’t even spell behavioural. The Streisand effect is the idea that trying to hide information from public view runs the risk of it gaining more publicity than it otherwise would have got – here's a link to a BBC piece about it (including explanation of its link to Barbara Streisand).